The Wonder Girls Try Out Reggae for "Why So Lonely"
Ah, summer. The time of year where all the girl groups come back with the kind of ear worms that are guaranteed to ring in our ears all the way until Gayo season in the winter. It’s a great time of year, and nothing is more refreshing than seeing a girl group return with an appealing concept, and with a track that succeeds in going against K-pop trends. That’s exactly what the Wonder Girls have done with the single “Why So Lonely,” which draws from reggae musically, and lathers itself in ’60s/’70s aesthetics to deliver one of — if not the — best comebacks so far this summer. The band concept might be the best thing to ever happen to the Wonder Girls, because it’s only expanded their potential for versatility. It’s a plot that’s all-too familiar for Yenny this summer — the four members express their disappointment with the man in their lives while taking revenge on a mannequin. Unlike “Get It,” though, “Why So Lonely” is much less angry and a whole lot more ambivalent. The ladies don’t feel suffocated by their boyfriend’s constant attention, instead it’s the exact opposite: his apathy brings them to question the imbalance in their relationship. There’s an air of confused boredom, combined with a sense of disillusionment that’s carried both by the lyrics and the the visuals. From the intro scene of Sunmi striking a match only to place it in her mouth, we watch the flame of a romance begin to extinguish. The majority of the shots take place in domestic spaces, as each member deals with the fading romance in their own way: Yoobin sulks on the couch with her mannequin lover, while Yenny argues with him. Hyelim‘s scenes draw on the absence of her boyfriend as she waits for him with a cake before the candles blow out in time with Sunmi’s match and she turns to Absolut Vodka for comfort. Unlike the other members in the MV, Sunmi’s role is more like ours as a spectator; she’s the only member who begins the story outside of the domestic space, and in many ways she narrates the MV. In the beginning scene, she peeps into the apartment to see Yoobin and the mannequin on the couch. She later looks over her shoulder as she throws up into the toilet. After things turn violent, Sunmi blow dries his hair before the four members put the mannequin in a trunk and carry him off to their band practice space to torture him with confetti, cat toys and condiments. In the closing scenes, the sun is going down, the members have all had their moment of catharsis, and they look to the mannequin, lamenting the romance they could have had. The final blow to the damaged relationship comes as we see the dynamite they’ve strapped to his body, while Yoobin rings out the final roll of the drums. The relationship is over, and the members can’t find it in themselves to celebrate, because they still long for love like in the movies. I wasn’t lying when I said the band concept might be the best thing ever for the wonder girls. Not only did it allow them new vocal and musical dynamics, but it also brought them the gift of very stylized aesthetics. They’re a dynamic visual group, and JYPE seems to have its heart set on using those dynamics to allow the members to embody different decades with each comeback. Whether they’re playing around in the ’80s or grooving in the ’70s, they look damn good doing it. It’s a trick that could get old, but for now, it’s working like a charm. Perhaps this is because if any other Big Three company attempted the same era-specific styling, it’d probably have turned out much more whacky. For keeping things visually cohesive and practically fashionable, JYP deserves a round of applause. Nothing is crazy, or exaggerated, but the members look stunning and the concept plays off without a hitch. The style-era references doesn’t have much to do with the sound of the track itself, and that’s okay. The visuals lend another layer of goodness to the comeback, giving the MV an appeal of its own. My only wish for the MV would be to see more of Hyelim. Watching her drunk kick a mannequin was a major highlight for me, so giving her a little more screen time (and vocal lines) would have been nice. Not that the rest of the MV wasn’t a visual treat, because it very much was. Aside from the stunning MV, the most exciting aspect of “Why So Lonely,” for me, is JYPE’s continued musical foray into reggae. The company has already played around a little with reggae tones in G.Soul‘s “Far, Far Away” earlier this year. 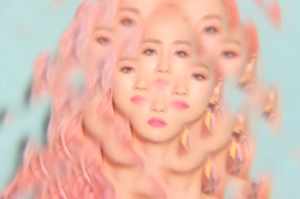 With the Wonder Girls, they’ve taken the reggae base — creating a chill and apathetic tone perfect for summer and the lyrics — while still managing to keep things poppy and public friendly. The song builds just enough to avoid falling flat, but never strays from the laid back tone it set in the opening notes, even during the non-reggae pre-chorus. Much like with “I Feel You,” the laid back sound really suits the members vocal tones, and they’re not reaching for notes out of their range or trying to over-sing. “Why So Lonely” is the kind of song I can groove to, sing along with, and it doesn’t have the potential of getting old quickly. The new sound reminds me a bit of something No Doubt may have done back in the day, and made me all the more exited to listen to the other two tracks on the single album (which are great, by the way). It’s nothing new in the grand scheme of musical releases, but reggae summer tracks from girl groups is territory I’m happy to see explored. Since SM is taking on EDM, and JYP is now tapping into reggae, it’s only a matter of time before YG combines the two and K-pop catches up with the tropical house trend that’s been dominating western music for the past year or so. Not that it has to, I’m just saying the foundation has been laid. If summer comeback season is a girl group race, then I’d say at this point, that the Wonder Girls have emerged victorious. Really, JYPE is killing it this year.